Established in 1989, Turnstone is one of the most reliable and established developers in the south east. Adopting an open and honest approach, Turnstone have successfully worked with landowners, property investors and occupiers for over 25 years. Specialising in the office, retail, leisure and mixed-use sectors, we invest our own capital, time and experience in property projects to optimise value. Our extensive involvement in our chosen sectors, coupled with in-depth knowledge of occupier demand and regional supply dynamics, means we develop projects to their full potential. Turnstone consistently deliver projects by adopting a pro-active and flexible but patient approach. 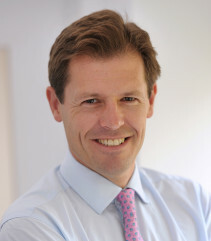 Until 2011 Tim ran the Cambridge development team at Savills where he built a unique understanding of the East of England property market. He has consulted on numerous urban regeneration projects: supermarkets, hotels, leisure facilities and offices. In the residential sector, he has advised on many central Cambridge land sales and urban extensions. Prompted by his intuitive feel for occupier markets and his remarkable ability to spot development opportunities, he joined Turnstone to drive the company’s development activity. 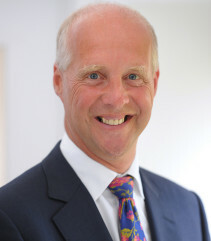 Chris launched Turnstone Estates in 1989, encouraged by his early success in property consultancy. He has since combined his complementary skills in financial services, development and portfolio management to great effect, steering the company through the vicissitudes of the market to its present enviable position. Chris has concluded numerous major projects in Cambridge. He masterminded the Cambridge Cattle Market leisure scheme, and collaborated with the University of Cambridge to deliver the prestigious Hauser Forum. Yvette is Turnstone’s Finance Director. She began her career in corporate finance in 1992. She joined the company in 2007 after running the accounts department of a successful family business for 15 years. The company appointed her to the Board in 2015. She is married with three daughters and lives in Great Dunmow, Essex.